Searching the Internet for fitness and health can be a daunting experience, from an overdose of information to often misleading advice. This series aims to shed light on these hard-held beliefs still circulating in the fitness industry today. The burning feeling while working a muscles means it’s burning fat. The burning sensation is simply lactic acid produced when a muscle is under tension for more than 15 seconds and has used up its immediate energy stores. It is NOT fat that is being burned. A muscle has three main systems to produce the energy needed to work the muscles. The first system is immediate and the energy lasts for 15 seconds. The second is quick, with the energy supply lasting for less than two minutes, but it produces lactic acid as a waste product. And the third system is slow to produce energy but it supplies the most of all. Any fitness activity relies on all three systems, which work continuously together to produce energy. The burn we feel is exactly the lactic acid produced from system two. This acid is eventually flushed out and used as energy as the activity proceeds. When too much acid is produced and the muscles cannot flush it out fast enough, fatigue sets in and the muscles cannot contract properly. One cannot sense what he or she is burning as fuel for energy (sugars or fats). The workout determines which source of energy and which system is preferred. Tolerance to lactic acid and the burning feeling increases as one trains more consistently. For beginners, remind yourself that you will, with time, be better able to handle the achy feeling that the burn produces. Some workouts are designed to produce that sensation because of the training benefits of these types of workouts. Take the challenge. Unless you’re well trained, it’s difficult to resist the burn, so instead of stopping an activity, try to take active rests (for example working a different muscle or doing some full body moves like burpees) every now and then, until you’re there. The best way to flush out acid is to keep moving. So don’t stop the workout half way through. Stay tuned for more fitness myths in our upcoming issues. Honestly, I always take nutrition advice with a pinch of salt. It is so easy to oversimplify research findings. Do you remember when eggs were supposedly harmful and presumed to contribute to bad blood cholesterol? Now, it is recommended that you eat eggs (up to 3 a week), to maintain healthy levels of good cholesterol. What happened? Eggs didn’t change in 30 years, the research did. This is a reminder how important it is to practice moderation in everything; it is a good way to live, to eat. When it comes to today, we are consuming way more sugar than we used to. Our food quantities have increased in all food categories, carbs, fats and proteins. Many would agree with me that the quality of the food we eat is not something we can be proud of. Here, I’ll focus on one particular sugar type (FRUCTOSE), breaking down the reasons why its over-consumption poses a health risk that most of us overlook or simply are not aware of. We are consuming too much: Fructose is the natural sugar found in most fruit. People assume that because fruit is natural, it’s okay. We forget that fruit isn’t available all year round in traditional and organic farming and that we have other sources to consume this sugar, (fizzy drinks, candies, and so on). Fructose is broken down in the liver: Because it’s not digested in the digestive system, this over-stresses the liver, which already has other functions to perform like removing waste products. Fructose confuses the body: It tastes sweet, but doesn’t act like glucose. Since it’s broken down differently, your body asks for more sugar but doesn’t really feel content. This means, you’ll always ask for more. Fructose is in products that are supposed to be healthy: Remember low fat products? When a macro ingredient is stripped away from food, it is usually replaced by another macro ingredient (usually sugar). Fructose is in products that aren’t even sweet: If you read the food ingredients’ list on a food label, you are sure to find fructose. It’s usually what’s making it taste so good. Food products notorious for this, include sauces like red pasta sauce, ketchup, barbecue sauces, commercial salad dressings, coffee creamers and even health bars (protein bars). Look for the following in food labels: High fructose corn syrup, fructose syrup, agave and so on. You might suffer from fructose intolerance and not know it: In an average body, the small intestine can absorb up to 50 grams of fructose at a time. Some show a reaction to even less than 20 grams of fructose. For those suffering from malabsorption, the fructose absorbs water into the gut and causes diarrhea. The fructose might also linger too long in the gut, becoming food for gut bacteria. The latter usually results in bloating and flatulence. Dates are full of fructose: Granted, dates also have antioxidants and are a good source of calories. It is, however best to have 2-3 dates half an hour before a meal. The sugar from dates will help you feel fill faster. We need to redefine our relationship with fruit: We fall prey to the benefits of fruit. Even worse, most juice places around town add sugars to the already sugary beverage, making it a ticking sugary bomb. Be sure to choose the smaller size cups, request the sugar free version, and stick to one serving before your meals instead of with it. Longer exercise sessions burn more calories and shape you up faster than shorter sessions. Shorter sessions can actually be more effective and help you shape and achieve your fitness goals faster. Training duration and intensity are inversely proportional. The longer the session, the less hard you can train as the body gets tired. In order to see real fitness change, your body needs to reach its threshold and break it to set a higher one. At this new base, your body is stronger and your metabolism is faster. High intensity training (HIT) forces you to reach your threshold, allowing your body to adapt stronger and fitter. Also, in this form of HIT, the body undergoes a post workout calorie burn (you keep burning calories even after the workout is done). Note: HIT is a method of training harder but for shorter periods. The key to the benefits of short duration workouts is to keep the intensity at ALL OUT or the maximum that you can possibly give. You give your maximum for a short period. HIT allows for real lasting changes. Always mix and match your workout by varying the durations of your sessions. Aim for two high intensity, short duration workouts per week. Don’t compare yourself to others. What you consider high intensity might not be high intensity for others. Measure your performance regularly as you will definitely improve. Calling all vegetarians out there! Although barbecues are commonly known for their meat range, from juicy burgers to charred sausages. Vegetarians, too, can indulge in a variety of delicious grilled foods. We’ve organized a list of your favorite barbecue meals’ recipes, perfect for every vegetarian’s taste buds; we’ve also managed to keep the recipes close to home. Make sure you give this a try! Place bun in a food processor; process 4 times or until crumbs measure up to about 1 cup.Transfer to a bowl. Combine 1 tablespoon oil, garlic and beans in processor; pulse 8 times or until beans make a thick paste. Scrape bean mixture into bowl with breadcrumbs. Stir in rind/peel and remaining ingredients. With moistened hands, divide bean mixture into 4 equal portions (about 1/3 cup mixture per portion), shaping each into a 3-inch patty. Heat remaining 2 tablespoons oil in a large nonstick skillet over medium-high heat. Add patties to pan; reduce heat to medium, and cook 4 minutes or until bottom edges are browned. Carefully turn patties over; cook 3 minutes or until bottom edges are done. Take cooked soya chunks in a blender and make it into a mince. Heat oil in a pan, saute onion and chillies with some salt till it is light golden. Add in all spices powders and give a toss. Add in carrots and capsicum. Saute for 2 minutes. Now add in minced soya and mix well. Saute for 4 to 5 minutes till the raw soya smell dissappears. Remove and place in a bowl and let it cool down. Now crumble wheat bread and tofu and mix well with your hands. Take a portion and roll it into sausage. Do this to the remaining as well. Place this in the fridge for 30 mins. Roll this in cornflour and put it in a pan with very little oil. Fry this on medium heat till it is golden. Take your roll and slit it open, place the sausage and drizzle some ketchup over it. Top with onions, tomatoes and capsicum. Place tofu, zucchini, red bell pepper and mushrooms in a bowl. Mix sriracha sauce, soy sauce, sesame oil, onion, jalapeno, and pepper in a small bowl, and pour over tofu and vegetables. Toss lightly to coat. Cover and marinate for at least 1 hour in the refrigerator. Thread tofu and vegetables on to skewers. Grill each skewer for 10 minutes, or to desired doneness. Use any remaining marinade as a dipping sauce. Heat two tablespoons of oil in a pan, add French beans, cabbage and carrots and mix on one side. Add the green peas on the other side and mash them. Mix everything and cook for three to four minutes and push the mixture on one side. On the other half of the pan, roast gram flour and caraway seeds for two minutes. Mix the vegetables and flour mixture together and add ginger-garlic paste, green chilies, mix well and sauté for half a minute. Take the potatoes in a bowl, add the corn, vegetable mix, salt, two teaspoons chaat masala, cashew nut powder and mix well. Divide into sixteen equal portions. Take a portion of this mixture and place on a satay stick; press it around the stick till it is evenly layered. Press the ends firmly. Season the grill stone with oil and heat. Place kababs on hot stone and cook, basting with oil on each side, for three minutes, or till lightly colored all around. Serve hot, sprinkled with the remaining chaat masala. Rub each potato with a little oil and salt, then wrap in a double layer of foil. As soon as the barbecue coals are glowing red, put the potatoes directly on them. Cook for 15 mins, turn with tongs, then cook for 15 mins more. Remove one, unwrap and check it is cooked through. Peel back the top of the foil from each potato, split open and top with a spoonful of yogurt and a few spring onion slices. You pick up the cereal package from the stand at the store. You look for the food label, and attempt to analyze it. Try as you may, you wonder if a nutrition degree is necessary to make sense of it all. Reading a nutrition label can be easy, if you know what to look for. Here we break it down into easy steps and give you pointers to look out for that will make you better succeed at achieving your fitness and nutrition goals. 1. Determine the type of food and define the purpose for eating it. Determine whether the food is mainly a carbohydrate, a protein, or fat. 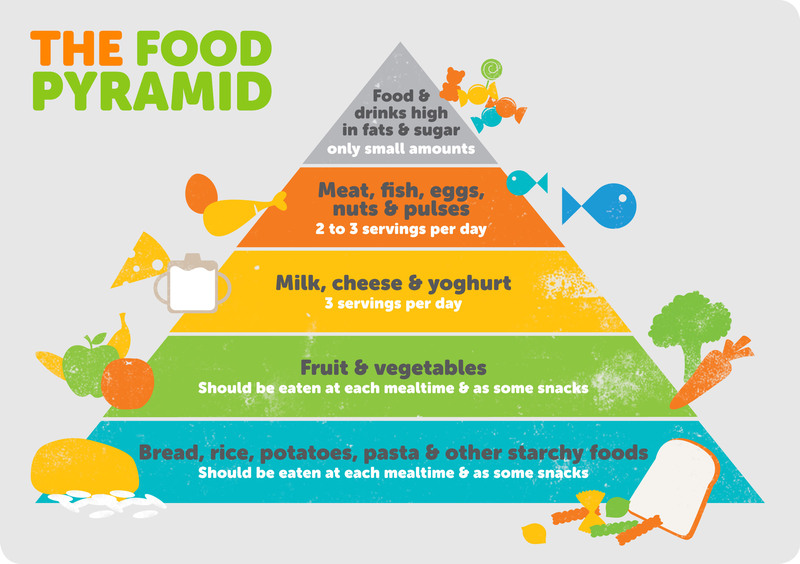 The food pyramid divides foods into certain groups that fall under starchy grains, vegetables and fruit, eggs and dairy, meat and poultry, fats and oils. Purpose: Okay, so we usually eat because we’re hungry, but we also we eat for pleasure, whether alone or with our loved ones. However, some of us look to fulfill certain goals with our food, whether it’s to make up for a nutrition deficiency or to attain fitness goals (Protein diet anybody???). 2. Read the ingredients’ list. The list could be long, and processed foods usually include additives that are just difficult to decode. To make it more complicated, the laws that determine what a food manufacturer must include in the list differs from one country to another. Imported foods don’t make this easy then. In general, the first item listed in the ingredient list is the main make up of the food product: So in the example below, flour makes up the highest in in quantity from all the other listed. It is recommended that you pay attention to the first 3 in the list. the others will be in less noticeable quantities. Reading the ingredients list says much about the quality of the food. For example, butter can be sourced from grain-fed cows or from grass-fed cows. The latter is much healthier. Is there anything to which you are allergic? Intolerant? Anything that you just don’t want to consume as part of your health regimen like for example, artificial sweeteners. Watch out for any footnotes like “may contain traces of nuts and soy”. For some, a small amount of these is enough to cause a reaction or even worse, be fatal. 4. Determine the serving size, and how many servings you’ll be having. We usually know how much of something we want to eat (unless of course it’s too good that you just get carried away and devour the whole thing). The question is, how many servings do we end up having? You can then determine how many calories you have just consumed and what nutrients in grams you’ve consumed. 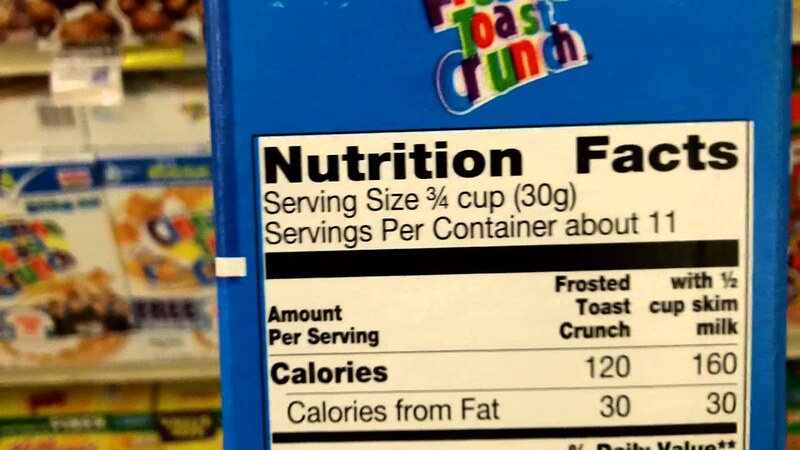 In the example below, if I eat 60 grams of Frosted TOAST CRUNCH, it means I’ve consumed 240 calories and NOT 120 calories. Most of us have a set calorie allowance for the day. You’ll need to set a target also for your carbs, protein, and fats so you can compare your actual consumptions to your goal. Do your best to meet your set target. Work with a nutritionist to set reasonable food goals for yourself. 6. Pay attention to these specific foods and try to limit them. Always choose natural sources instead of processed foods. Do you have a backyard that needs a new twist or a touch of fun? We’ve got you covered. Here are some things you can do in your backyard to make it awesome. It kinda goes without saying, but planting trees, flowers and bushes will definitely make your backyard look good. The greenery will make it picturesque and exhume a sense of calmness. 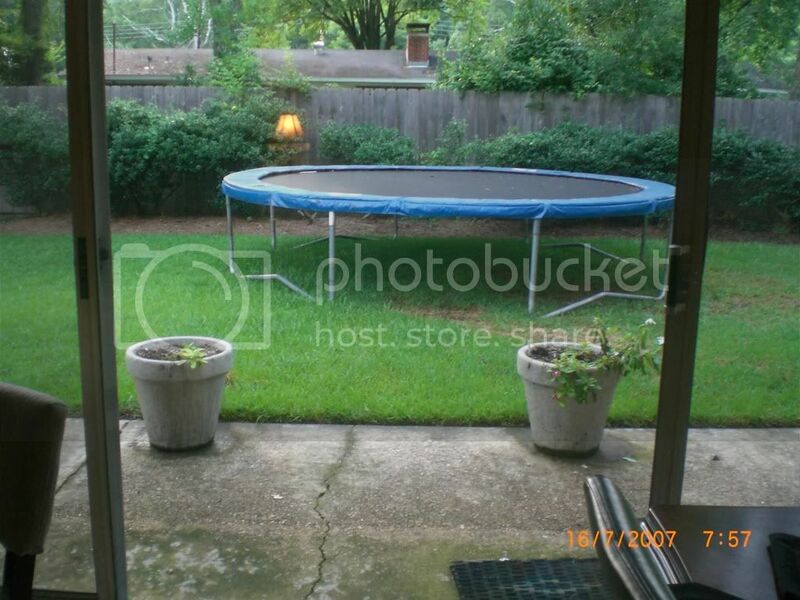 Hey, best thing about a backyard is having an open place for a swing. Add a slide as well, go crazy! You can be as creative as can be here. Either go all the way with an overtop seating decoration such as having mosaic bench or an ancient ruin scene, or keep it minimalistic with a round table and a few seats. Hey, while you are at it, why not add in a tent so you and your kids can have a camping experience. 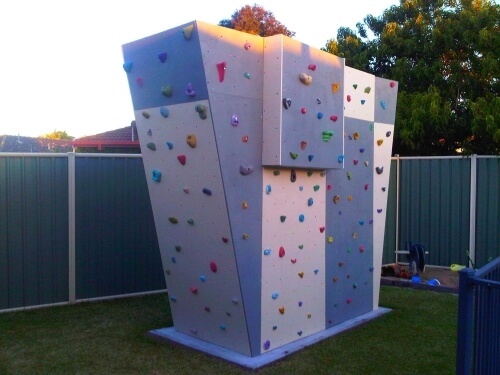 Build a climbing wall. Your kids will have a blast with that, make sure you have all the necessary safety precautions though. This is a wonderful DIY project. You can construct your own alley out of flat wooden planks and set up bottles as pins. Now roll that ball and get a strike. Are you a chess lover? Well, time for you to take it to the next level. Construct a giant outdoor chess setup. Even though you may need professional help to build it but it will be worth it. Create your own mini golf course and play away. Either use a projector or a TV screen, depending on your backyard set up. 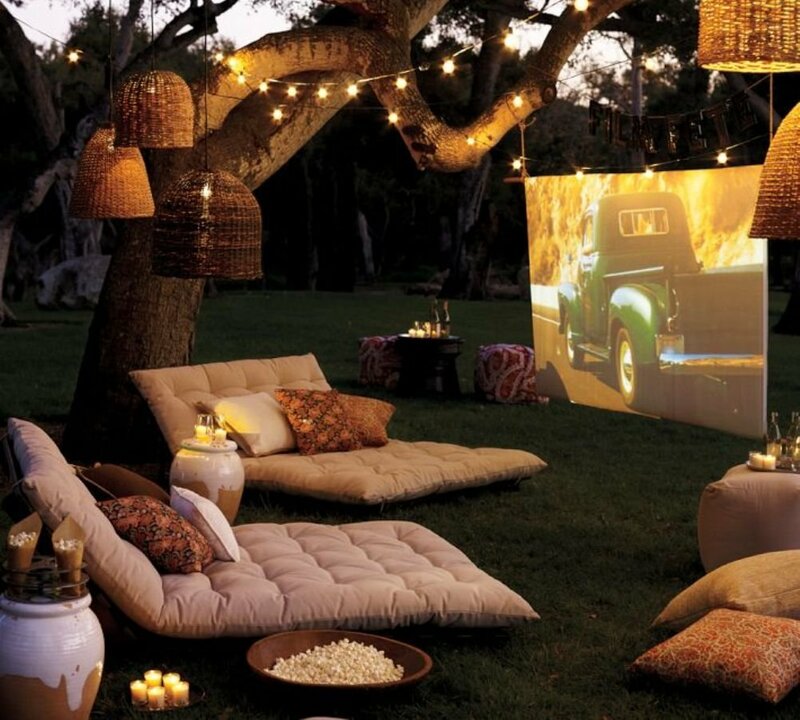 Gather your friends, spread cushions on the grass and get that popcorn ready because you will have an amazing time. 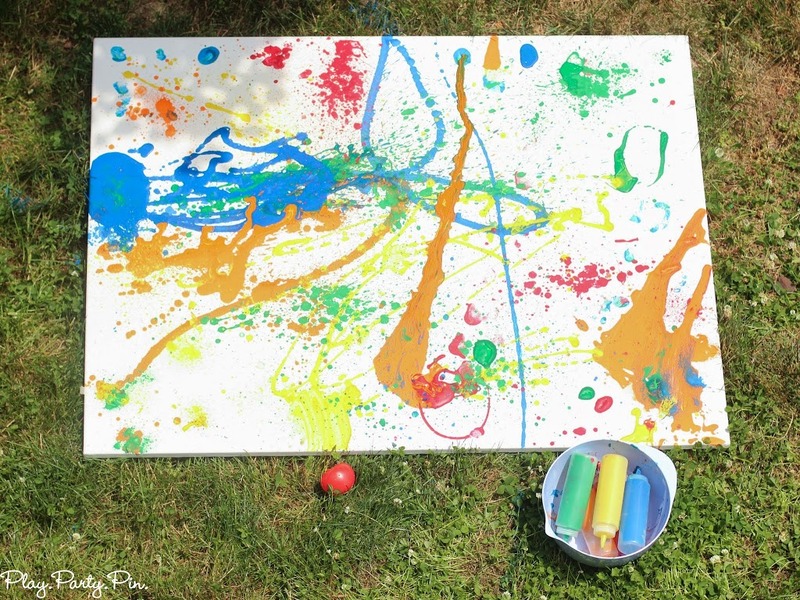 Lay out a white sheet on the ground/grass and splash all the colors you want over it. This is not only for your kids, it is great for you too and will take away a lot of adult life stress. Our diets have become more global than ever. We expect to be able to buy a hamburger in Myanmar, and we often do. The history of food is rich with stories of revolution, evolution, innovation, and sometimes tragedy that affect us all and explain the current trends of obesity, genetically modified food (GMOs) and so on. Food defines us in just the same way that we define what makes food. Despite how globalized the food scene has become, we still have tastes that are particular to each country. From a health perspective, it is essential to pay attention to the sugar consumption figures, which are now the predictor of a nation’s health crises. Note: The World Health Organization’s (WHO) recommendation for daily sugar consumption is less than 24 grams per day for an average adult. Increased sugar increases the risk of cancer, causes diabetes, taxes the liver, causes obesity, destroys teeth, and many more. Most Eaten foods: Hamburgers, Hot Dogs, and French Fries. Fast Food: When they eat at restaurants, 76 percent are take out fast food restaurants: McDonald’s. Average American spends more than 1100 dollars on take out each year. Interesting Info: Most american don’t get enough fiber, and it is cheaper to buy a McDonald’s meal than it is to make a salad from fresh lettuce, tomatoes, and cucumber. Fast Food: av brit spends buys 12 meals a month as takeout. Staples include: Rice dishes, noodle, and tofu dishes go with everything else. Most Eaten foods: sweet and sour pork, Gong Pao chicken, and dumplings. Fast Food: av chinese spends more than 22 percent of his food exp on take away (this figure represents the urbanized chinese population. Fast Food: average 2.8% of expenditure on eating out. Interesting Info: Saffron is a widely used spice in india but does not originate from india. It is actually a persian spice that was brought in through invasions in the 3rd and second century B.C. Fast Food: average expenditure on food per household represents 40% of expenditures. The poorer range spends close to 60%. In the city (Accra) almost 20% is restaurant or catering foods while vegetable is around 9%. In some rural areas, vegetables make up to 25 % of food spending while restaurant prepared meals are less than 3%. Staples include: Cereals and grains (especially rye) for porridge, fermented foods. Fast Food: average expenditure on food per household represents 40% of expenditures. The poorer range spends close to 60%. Interesting Info: Cabbage, potatoes, and cold tolerant greens are common in Russian and other Eastern European cuisines. Pickling cabbage (sauerkraut), cucumbers, tomatoes and other vegetables in brine is used to preserve vegetables for winter use. Pickled fruit and vegetables and other fermented foods are sources of vitamins during periods when fresh fruit and vegetables are traditionally not available because of the extreme cold weather. Fast food in Holland: McDonald’s is the leading brand in fast food in the Netherlands. It operates a total of 241 outlets. Sugar Consumption per person per day: around 102 g.
Interesting Info: Netherlands is the 2nd largest exporter of cheese worldwide, with a value of $4.5 billion in 2014. Fast food in Turkey: Burger King is the most popular American fast food franchise with more than 450 outlets across Turkey. Sugar Consumption per person per day: around 35 g.
Interesting Info: Many of our traditional mediterranean foods like shawarma, kebabs, and baklava were spread across the lands during the Ottoman Empire Rule. Our focus is to shed light on these hard-held beliefs on fitness, training and health, and to distinguish the misconceptions that despite the wealth of knowledge in the wellness industry, still exists today. The Internet can be a gold mine of info, or a minefield, depending on where you look and how you research. It can be overwhelming though, so we have done the work for you. Working out in the morning burns more fat. Exercise burns both stored fats and sugars for energy. Whether we burn more fat or sugar depends on many factors including the intensity and length of the workout, stored sugar levels in the muscles, and other factors. The time of the day affects all these factors, which then determine how much fat we burn. It is therefore an indirect relationship and NOT a cause/effect relationship. The hormone cortisol is generally highest in the morning and gradually decreases during the day. Cortisol helps the body respond to stress, including exercise. This means the body is better suited to respond to exercise in the morning. However, some people may feel more energetic during the day, especially after eating their meals. Also, because most gyms in Saudi don’t open early in the morning and the sun is quite intense, it might be easier to commit to fitness in the afternoons. People who are not used to exercising in the afternoon may find their sleep patterns disrupted as exercising close to bedtime increases cortisol; removing the benefits of an afternoon workout. Workout times are a personal choice and a habit. Choose what works for you. Whenever you choose to workout, make sure you are consistent and committed. If you can, mix it up by training some days in the morning and other days in the evening. If you choose to exercise in the morning, have some days where you workout in on an empty stomach. For high intensity trainings however, it’s better to eat something like a small fruit or shake before your workout. Despite the high price tag, we expect our gear to last long through our intense activities and the acidic, sometimes unpleasant sweat. Most of us set a budget aside when it comes to our fitness wear. Fitness Clothing doesn’t come cheap, and it’s probably a good idea not to use price as the only criteria when buying your workout clothes. Despite the high price tag, we expect our gear to last long through our intense activities and acidic, sometimes unpleasant sweat. The most Important question to ask is: What type of fabric is this outfit? The answer is right on the tag and is not just one answer. Most fitness clothing is made up of more than one type of fiber. Fibers make up the fabric. It usually says something like 70% polyester and 30% cotton. If you find terms that you just can’t decipher, google them. Hot water shrinks most fabrics. Wool and heat are not friends, and it loses shape if manipulated while wet. Try not to rub it against itself; the fabric will felt. Cotton also shrinks on hot water. Polyester, Nylon and are easily washed and will usually not shrink. It is safest to use cold water in all fabrics, or barely warm water to remove tough stains from the synthetics plastic ones. Clothing fabric is dyed to give them the desired colors we love so much. (Most clothing is chemically dyed). UVB sun rays fade away dyes, especially in cotton and wool. Synthetic fiber are more resistant to sunrays, especially Nylon and polyester (not so with polypropelene). Fabrics are coated with a special finishing to prevent fading. Repetitive washing and chemical detergents usually wash of this layer making the fabric less resistant to color fades. Put a cup (or less) of vinegar in the washer withe the clothes to lock in colors and prevent detergent buildup which causes color fade. and REad the labels. Always follow instructions on the labels. Wash in cold water. use specific detergents for color fading. baking soda is perfect for whitening colors. Short cycles lessen the empact of wash but still get the fabrics cleaned. Your skin cells rub off on the clothes that you wear. Bacteria feeds on these. Sweat makes the ideal environment for bacteria to multiply providing dampens and the right acidity. Many of us are guilty of shoving our post workout damp clothes immediately in the gym bag and keeping them there for some time before washing them. All this adds to an already stinky situation. Air dry your clothes immediately after the workout. Soak in a cup of vinegar diluted in water, and use special detergent designed to soak stinky workout gear. Adding more regular detergent in the washing machine makes it worse (detergents stick and build up on fabric: trapping bacteria and causing mold). Ahh. The build up of sweat and humidity. Let me make sure you are always wearing your shoes with socks. These absorb sweat from your feet and prevent damping of the material. 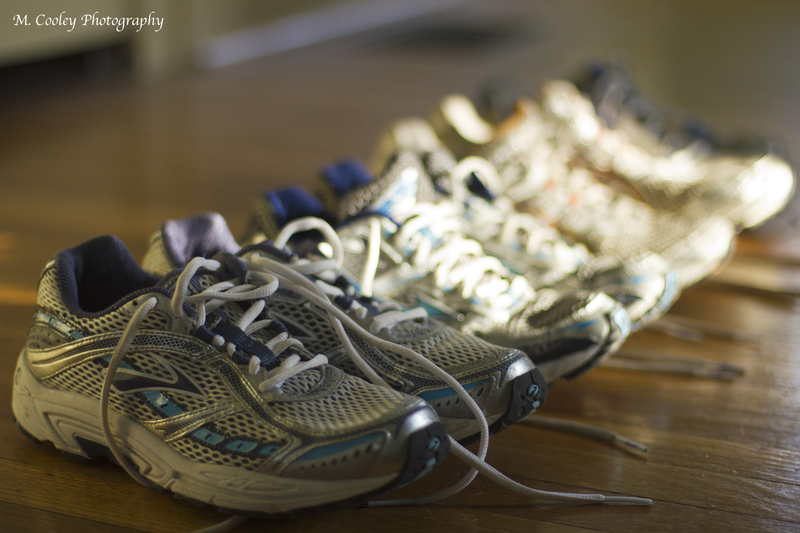 Make sure your use the right shoe for the right sport. Outdoor activities need heavy duty materials. Also, this is one gear where quality pays. You need to make sure you have the right material/right shoes. Mesh fabric allows breathability and GORE TEX (usually used in shoes) wick sweat away from your skin. Always air your shoes after every workout. Place some baking soda sachets or balls overnight to absorb any humidity which provides the perfect medium for bacteria and fungi to develop and grow. Gloves provide the ideal medium to breed bacteria: Your own skin and sweat, and the surfaces of machines and weights, which are contaminated by other people’s sweat and shed skin. Air them immediately after your workout. Use a hair dryer to help. Soak them in water, vinegar. Wash them. 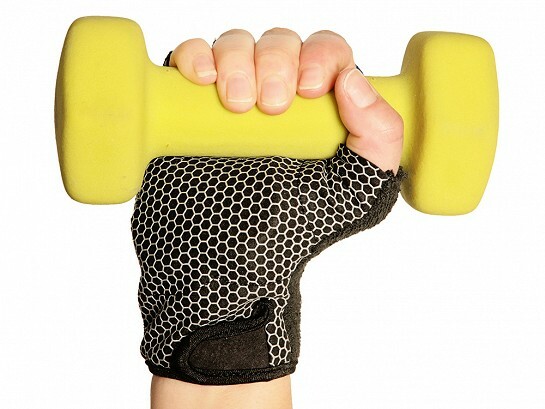 Choose fingerless ones to provide air and grip. Leather and neoprene fabrics are more durable than nylon. Your Yoga mat, as resistant as it may be, handles much of your skin cells, sweat, oily and bacteria prone parts of your body like your forehead and the soles of your feet. Sometimes, other people may use your mat as well. 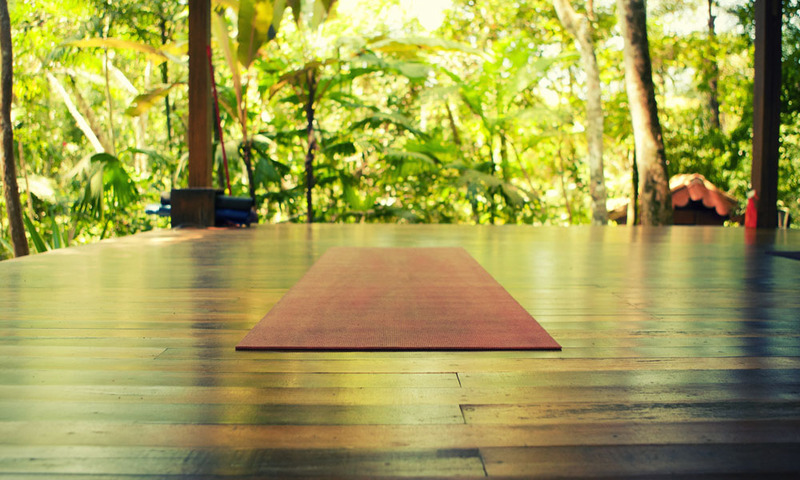 Make your mat bacteria free before and after every yoga session. Use a detergent to wash away filth from your mat. Then use an alcohol based disinfectant to kill germs. Most importantly, don’t share yoga mats (or even any fitness gear) with anybody. There are many reasons your sports bottle smells after some time, for instance, the material that t’s made of (stainless steel vs plastic). Also, the bacteria from your mouth often feed on the protein powder or fruit juices inside the bottle causing a foul smell. Be sure to wash your bottle immediately after every use. Soak in very hot water and lemon juice. Rinse well.. Always use a brush to wash your bottle and remove any extra residue (washing by shaking the bottle won’t do).